JFW is one of the world’s foremost authorities on RF switching. 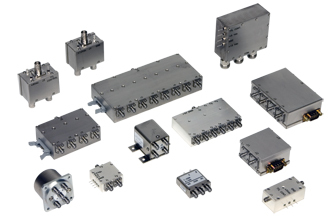 We offer an extensive line of Electro-mechanical and Solid-state, coaxial switches for a wide range of RF and microwave applications. Choose the RF switch that is right for you from our thousands of existing switches or send us the exact specifications you are looking for and let us design a switch with your needs in mind.